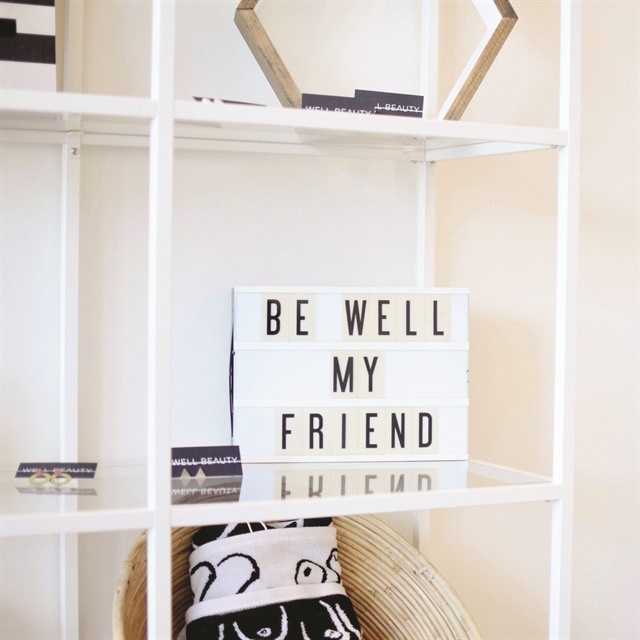 The salon’s owners created a clean, soothing design. we would enjoy that was fresh, clean, and that would act as a part of a healthy lifestyle.” The salon focuses on providing healthy products and high-quality services. They use 10-free products such as Zoya, CND, and Bio Sculpture Gel for traditional and gel manicures and extensions. 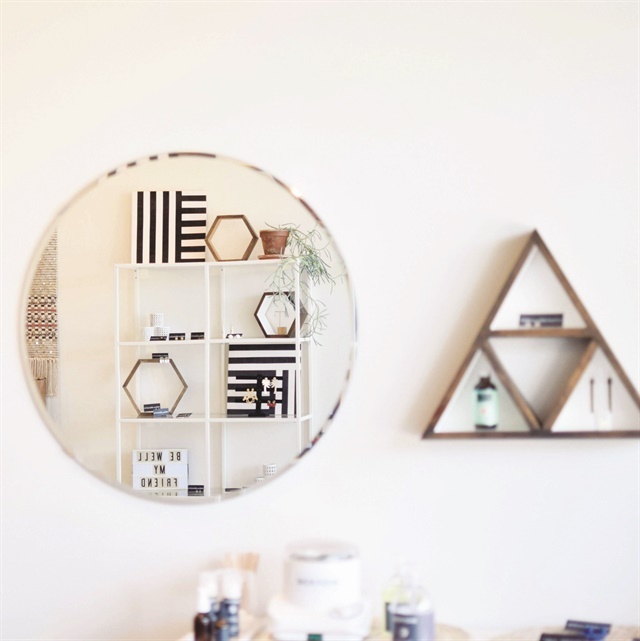 Well Beauty Studio aims to bring green services to Oklahoma. The salon is located in Oklahoma City’s Plaza District, an area that’s home to the Lyric Theatre as well as other arts organizations, retail, and restaurants. Adding to the artsy vibe, the salon’s design celebrates local artists. “We have a giant door made into a mural from local artist Erin Cooper and a space designed collaboratively with local architect Ken Fitzsimmons,” says Ahpeatone. 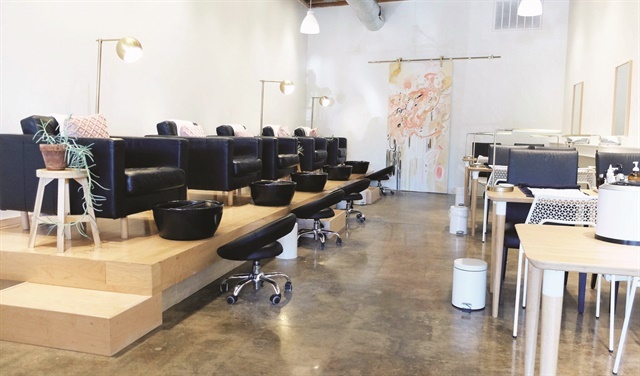 The salon hosts parties and creates events in collaboration with local neighborhood art walk nights and festivals. “We have done everything from bingo nights and henna nights to having wineries come in to do parties,” she says. Products include Zoya, CND, and Bio Sculpture Gel. The salon is located in a vibrant arts district. 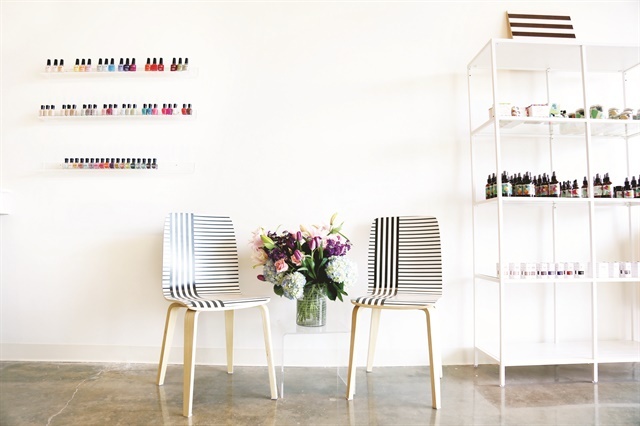 To match its healthy focus, the salon was designed to be soothing, artistic, and clean. “It was a fun project to do,” says Ahpeatone. “I love to design spaces and this project sort of designed itself due to the size and shape of the historic building remodel that coincided with our opening.” She was inspired by other salons she’d visited in New York City, Los Angles, and Denver. To bring in new clients, the salon offers promotions, discounted services, free upgrades, and client loyalty programs. The varied clientele includes women, men, children, those seeking a green experience, and those seeking a luxury experience. 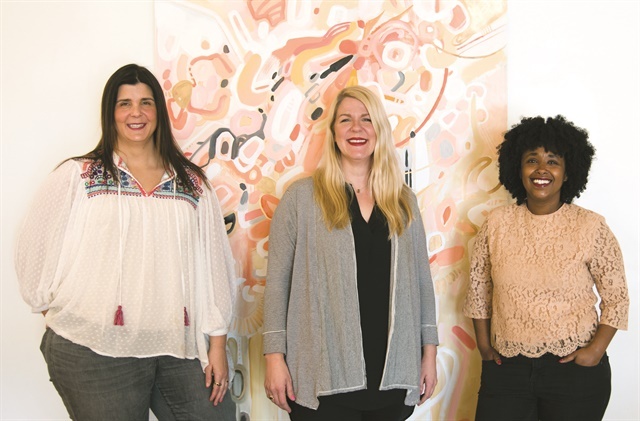 Salon owners Amy Yousey, Aimee Ahpeatone, and Beza Yosef were inspired by green salons across the country.